Graduation is most certainly an event to be celebrated. One way to do that is to host a graduation party for your recent grad. But to do that can take quite a bit of planning. With cool graduation party ideas, though, the planning suddenly becomes easier. Here, we will tell you about a few cool graduation party ideas. These cool graduation party ideas work perfectly as themes for your graduation event. We will also let you in on the cool products that we carry that can help you pull any of these cool graduation party ideas off. Aarrgh! A pirate theme is fun for people of all ages. One of the reasons we love a pirate theme is because it greatly encourages party goers to don costumes and personas. But how can you invite all your mates for a swashbuckling good time? With a themed bottle invitation, of course! Sand and seashells make the perfect accompaniment to a message in a bottle. These bottle invitations come already ready for delivery and corked. As other cool graduation party ideas, you may want to try getting someone in costume to deliver these invites to your guests. Having a poolside graduation party is yet another one of our cool graduation party ideas. 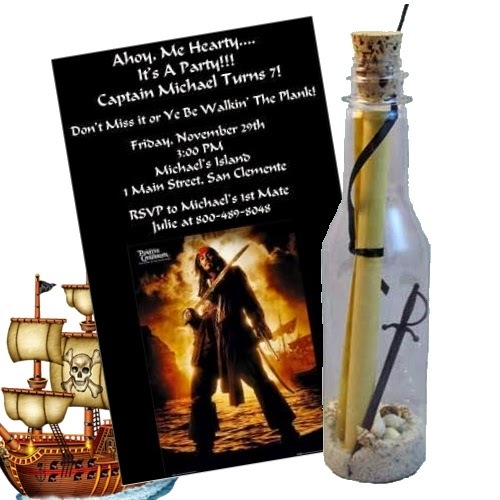 With this idea you can also order our themed bottle invitations. 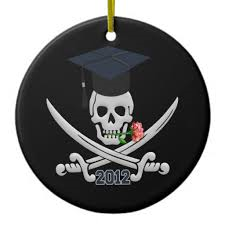 Instead of opting for a pirate option, however, these come with tiny umbrellas, palm trees, or even shiny confetti fishes. When having a graduation party poolside, you may want to go with a luau theme. A tiki bar theme is also another great idea. Choose from save the date bottle invitations, or even bottled thank you notes to those attending the party. These favors are sure to be ones that they do not soon forget. The nautical theme is just a more mature version of a beach party. 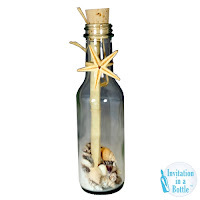 Our nautical themed bottles come with sailboat confetti. 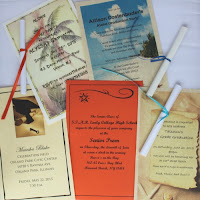 A few of the cool graduation party ideas to accompany this invitation might be a party at a dock, beach, or beach bungalow. It is also perfect if you are planning on partying the night away on a yacht or sailboat. With all of these products you can customize your message before shipment. You can also choose from your own ribbon and paper colors. 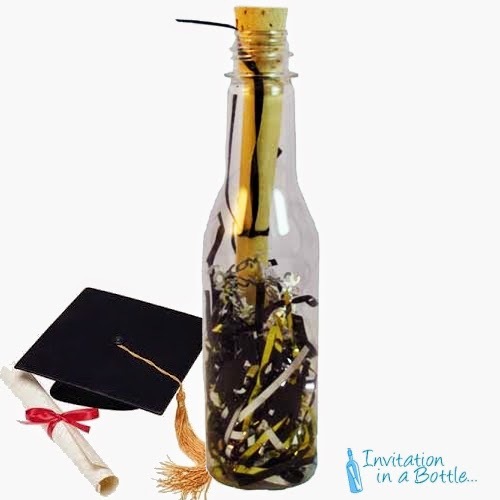 When you order with is, or opt for DIY bottle invitations, you can save.